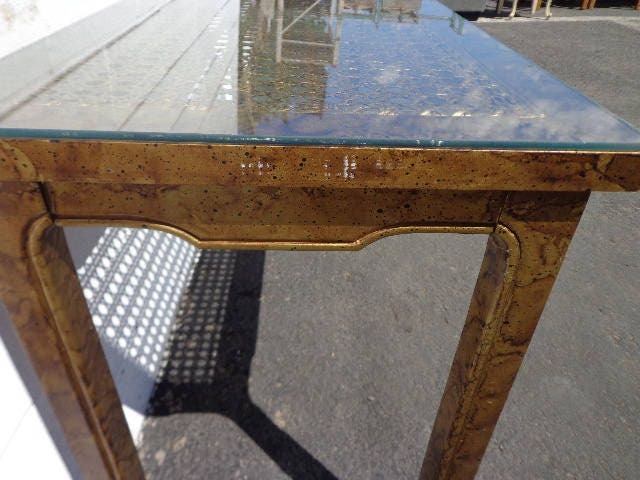 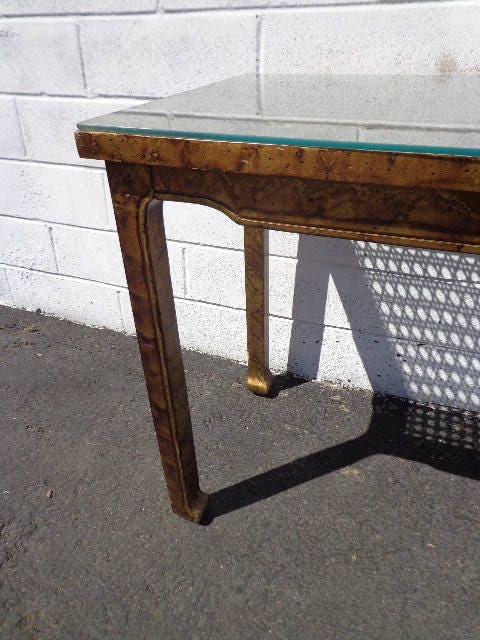 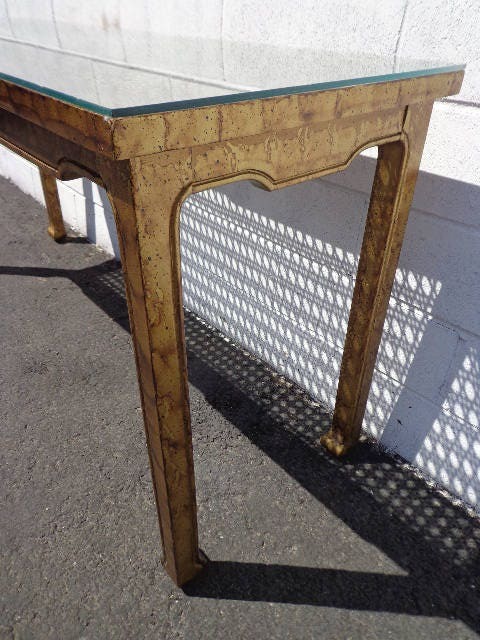 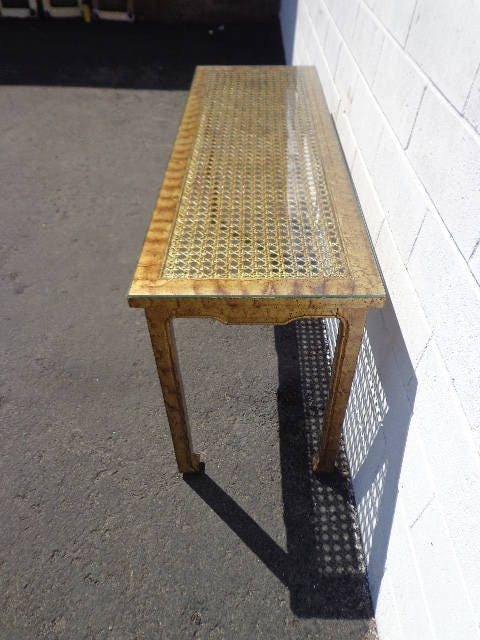 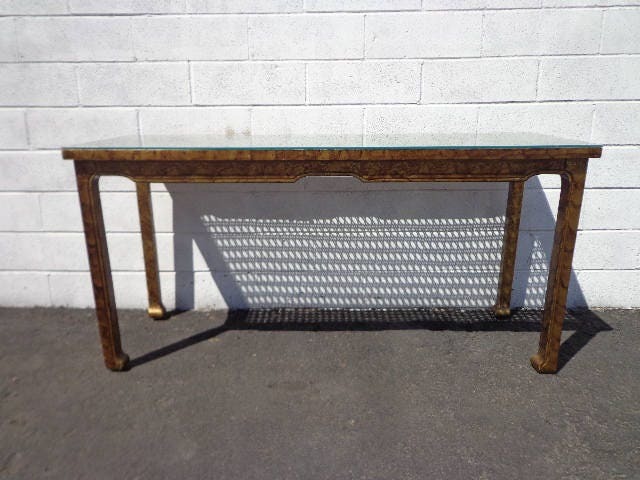 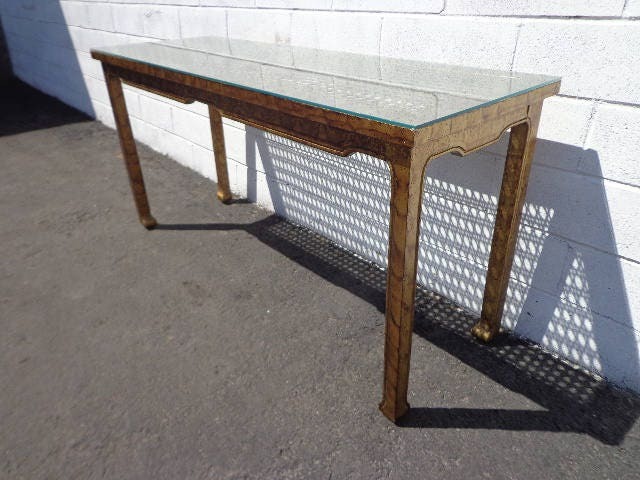 •Fabulous vintage console / sofa table with a gold tortie finish. 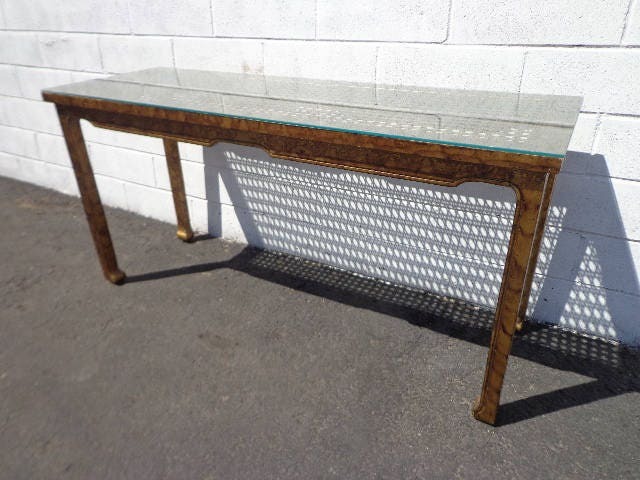 •Features a solid frame with a woven cane insert and protective glass top. 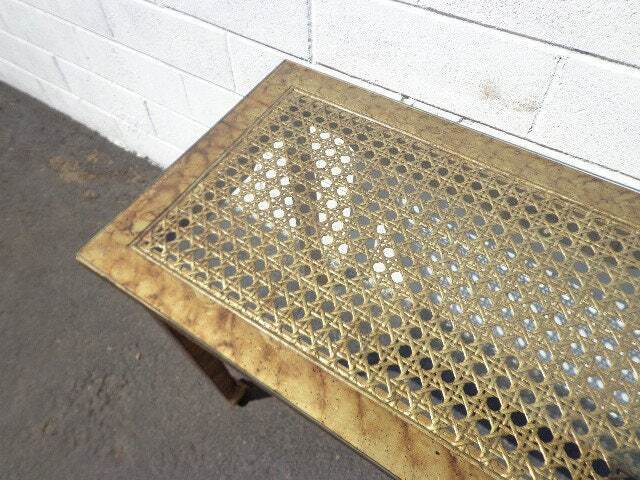 •Overall good vintage condition and solid. 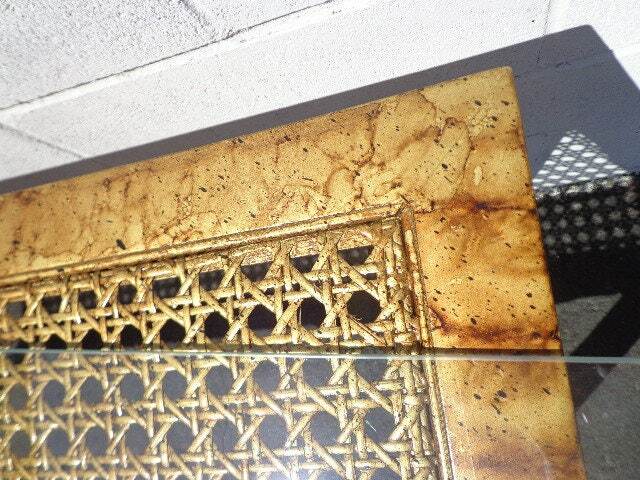 Shows surface wear from age and use. 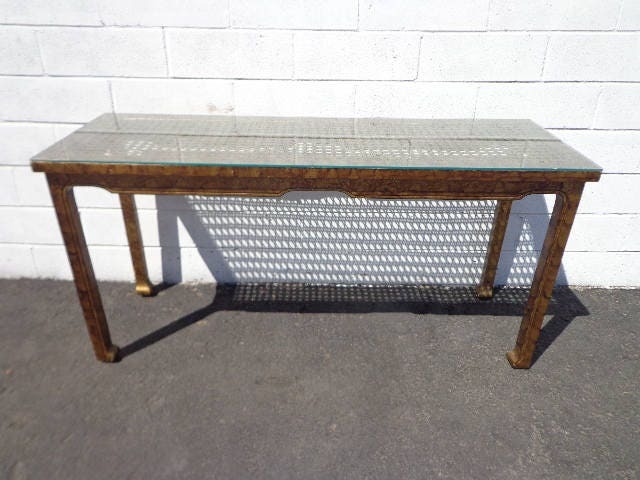 Dimensions: 54" x 18" x 26"